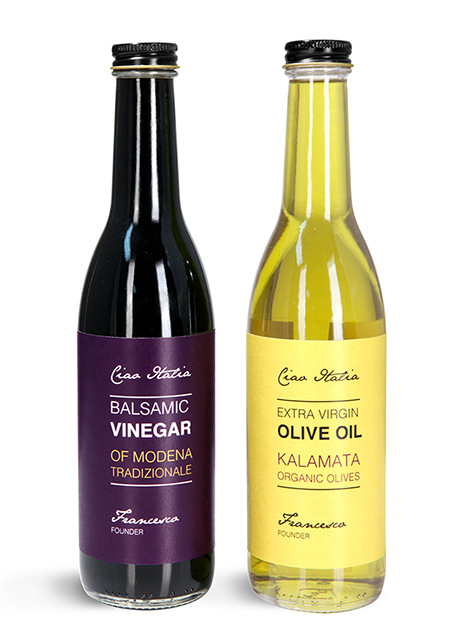 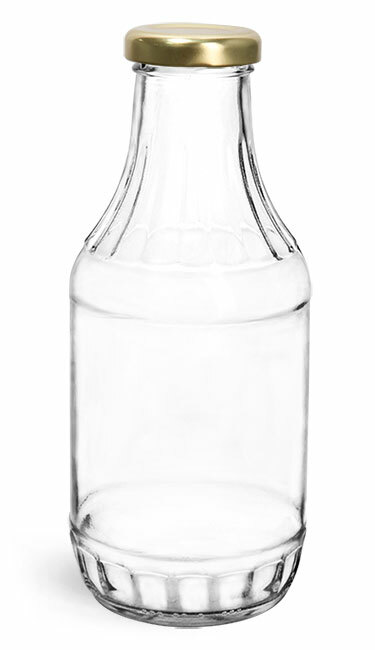 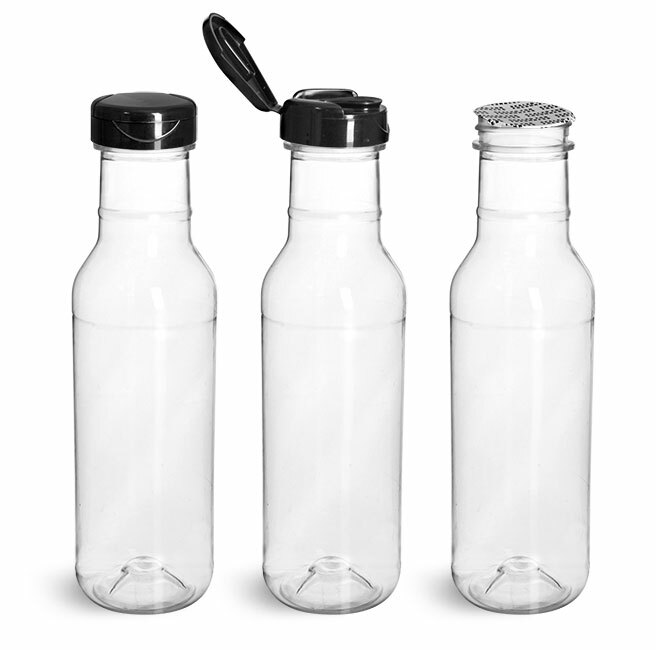 Try using these clear glass containers as olive oil bottles and vinegar bottles. 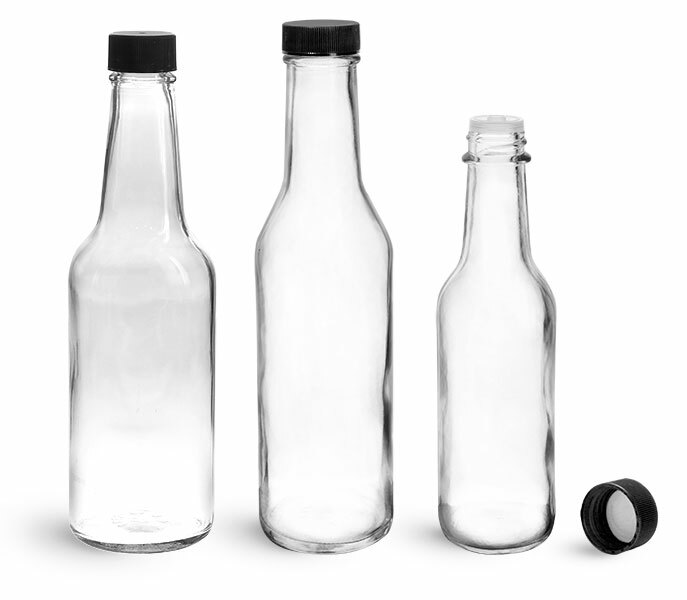 These clear glass woozy bottles are paired with black metal plastisol lined caps are a great way to package a variety of salad dressings, oils, vinegars, and more! 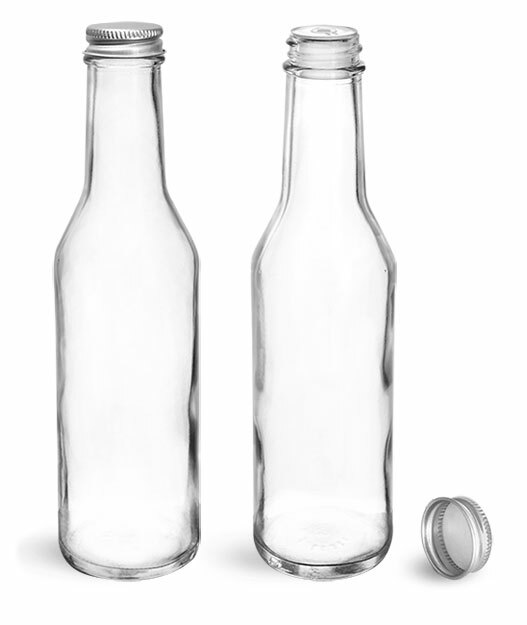 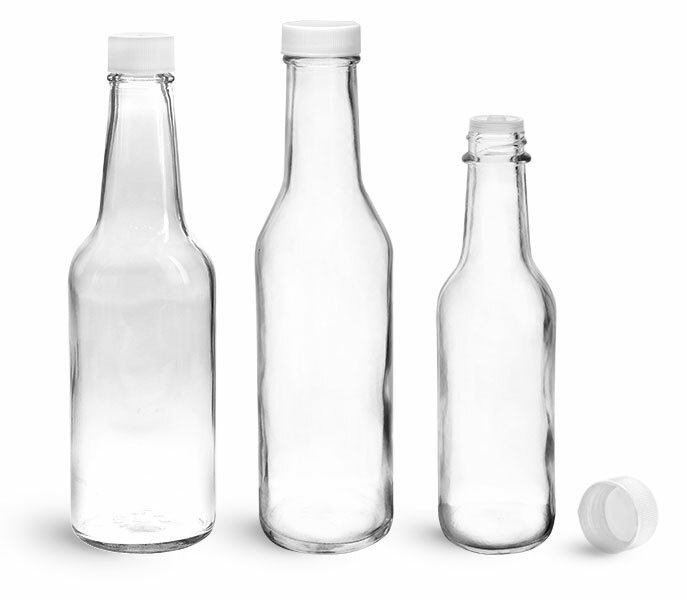 These bottles are offered in multiple sizes and a variety of cap options.